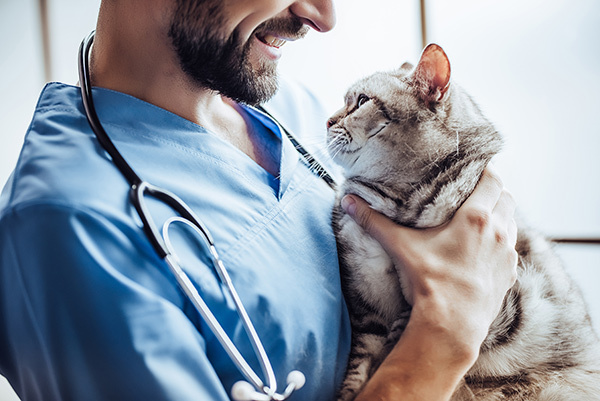 The CompanionPort™, a subcutaneous vascular access port, is designed for veterinary patients, to provide a more comfortable way of gaining repeated access to their venous system for both the delivery of medications (including fluids) and blood draws for a variety of disorders. Available in 3 sizes, Le Grande, Le Port and Le Petite, it is surgically placed between the scapula during a short surgical procedure. 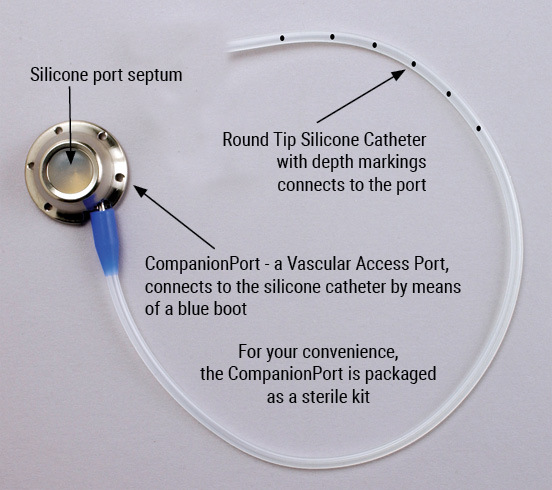 Using a CompanionPort eliminates the need for finding a ‘good’ vein for each treatment and avoids the problems created by an exit site wound. Access to the venous system is by penetration of the port septum with a specially designed non-coring needle – the Huber. The system has 2 components: a titanium access port and a round tip radiopaque silicone catheter with depth markings.